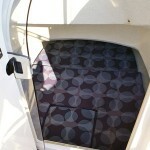 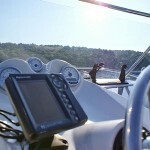 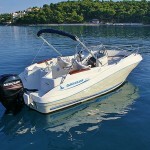 Quicksilver 635 Commander is very stylish and has sporty look. 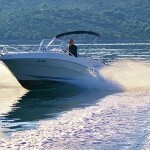 This fast daily cruiser with the Mercury EFI 150 HP FourStroke has all the power you’ll need for water-skiing or for quick ride to your favorite island. 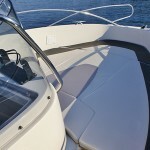 Quicksilver 635 is also a comfortable day cruiser – there’s plenty of room in the cockpit (with added co-pilot seat, cabin) and forward on the sun pad where you can stretch out and relax. 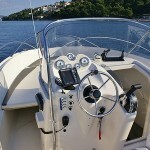 Wide and open design of the bow adds to the excellent walk-around space on the boat making moving around safe and easy. 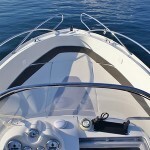 With clever use of space and a well thought out layout plus on-board comfort, this is a boat that switches from water sports to family cruising to light fishing with ease so that you can truly enjoy all the freedom of being on the water. 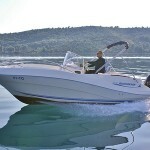 Length 6,35 m-Width 2,55 m-Engine Mercury EFI 150 HP FourStroke-Max. 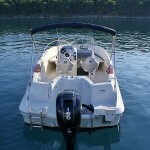 Speed 41 MPH-Fuel Tank 135 l-Fresh water tank 80 l-Persons max.7-No.of Cabins/Berths1/2-Year built 2008.